It doesn’t have to be a rock concert or a jet engine to hurt your ears and potentially (and irreversibly) damage your hearing. Though you likely don’t realize it, the following everyday activities can hinder your ability to hear well. 1. Cleaning your ears with cotton swabs. The shape and design cotton swabs, such as a Q-tips, suggest their whole reason for being is to clean the human ear. But did you know that cotton swabs can cause permanent damage to the ear that may result in hearing loss and balance problems? When cleaning with cotton swabs, it’s quite easy to damage the ear. A common ear injury that results from cotton swabs is puncturing the eardrum. 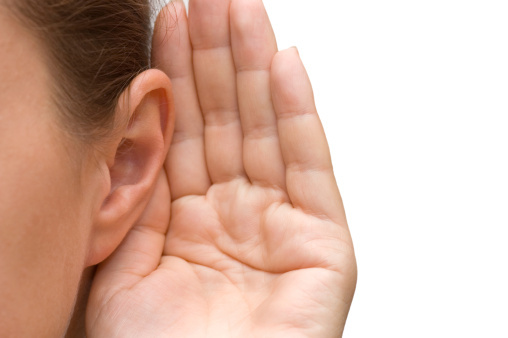 In severe cases, surgery may be required to fix it, and permanent hearing loss is possible. Cotton swabs also can push ear wax in deeper – which may require help to get it out. 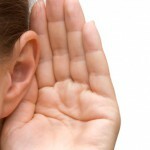 Ears make wax for a reason, said Lori Faber, MS, CCC-A, a certified clinical audiologist at Memorial’s Hearing Center. To keep your ears clean, don’t put anything in them bigger than your finger. Take a tissue, drape it over the end of your index finger, and clean your ear. If you have any discomfort or pain in your ear, visit your primary care physician. 2. Listening to music using earbuds. You don’t have to blare music to damage your ears. In fact, a “comfortable” volume level may be too loud for your eardrums when wearing ear buds. Noise-induced hearing loss happens gradually so listeners may not even be aware of the damage they are doing. Unlike headphones, ear buds are placed directly in the ear much closer to the eardrum. Such close contact can boost the audio signal by 9 decibels, which is significant. That doesn’t mean you should never wear earbuds. Limit to using them 30 minutes a day, 60 minutes maximum, and keep the volume at 60 percent or less. You should be able to hear outside conversations, and no one else should be able to hear the music coming out of your earbuds. Consider using headphones instead of ear buds. Everyone knows the importance of wearing proper feet and eye protection when operating a lawn mower; few people, however, know the damage the noise of a lawn mower does to our hearing. Lawn mowers, motorcycles, snowmobiles, and even garbage trucks are in the 85- to 100-decibel range. While these noises aren’t as dangerous as a rock concert or jet engine, repeated exposure to them without protection can cause permanent hearing loss. Experts recommend keeping noise to less than 75 decibels – the average conversation is usually around 60 – and any time noise is louder than this keep your exposure time short or wear hearing protection. Do you hear as well as you want to? Memorial can help. Your physician can refer you to the Hearing Center, or you can call directly at 217-788-3767 to schedule an appointment, or email us. The Hearing Center offers complete diagnostic audiological and hearing aid evaluations for adults, children and infants.